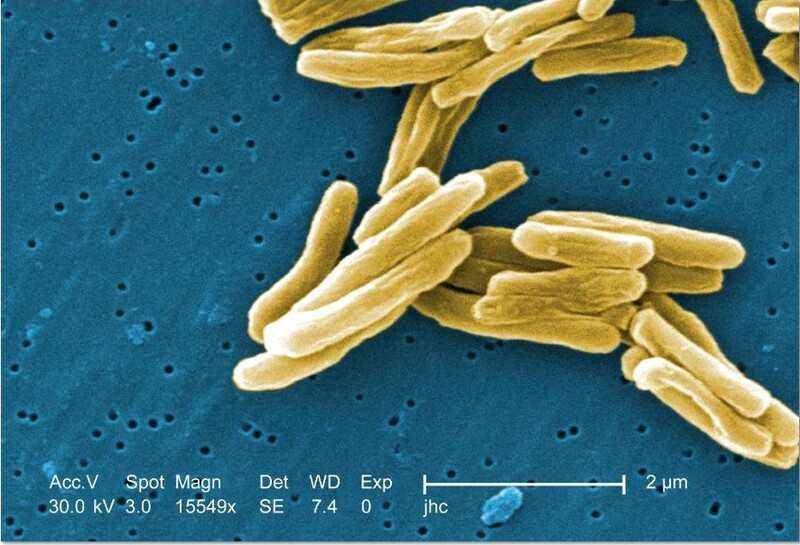 Microscopic image of Mycobacterium tuberculosis bacteria. Photo credit: Centers for Disease Control. County health officials said Thursday that tuberculosis testing will be offered at two San Diego area high schools where students and staff may have been exposed to the infectious bacterial disease, in light of two recently diagnosed cases. The period of potential exposure at Crawford High School in San Diego was from Sept. 17 to Jan. 5, and at Steele Canyon High School in Spring Valley between Oct. 27 and Dec. 21, according to the county Health and Human Services Agency. The HHSA is working to notify those who may have been exposed to the disease at the two schools and will offer no-cost testing at Crawford on Jan. 30 and at Steele Canyon on Feb. 13. Officials did not identify the two people infected with TB, nor did they specify who might have been exposed. Most people who are exposed to the disease do not contract it. Symptoms include persistent cough, fever, night sweats and unexplained weight loss, according to Dr. Wilma Wooten, the county’s public health officer. Those who do have symptoms should see their doctor, she said. There were 237 TB cases reported in San Diego County in 2017 and 258 cases in 2016, according to county data.